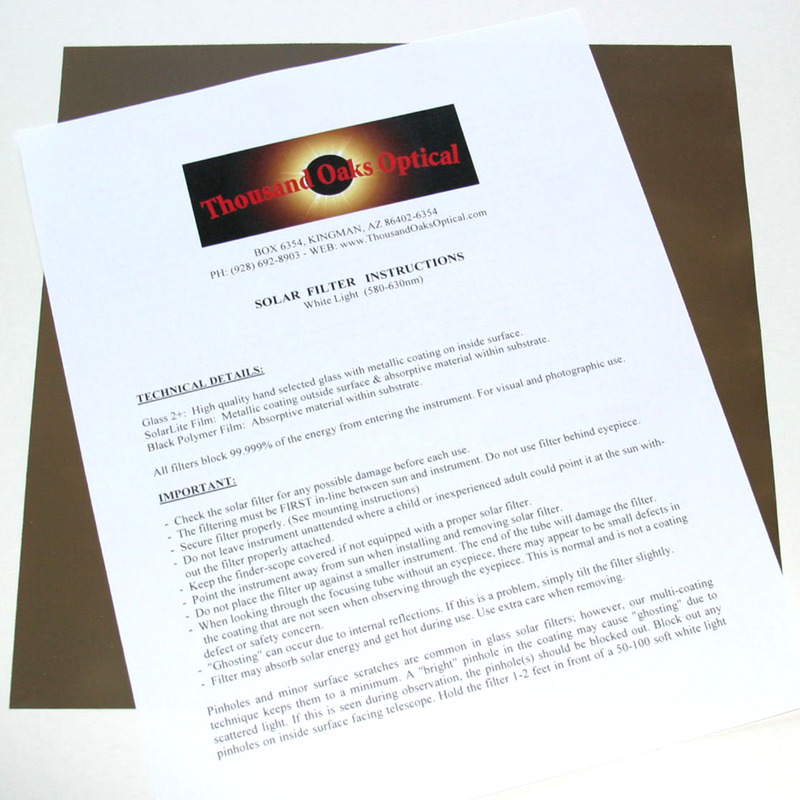 Exclusive Thousand Oaks Optical formula developed solely for SAFE solar observation. CE & ISO Certified. Unlike metallized Mylar (commonly used in food packaging), our Polymers give a SHARP pleasing yellow-orange image versus unnatural pale blue. 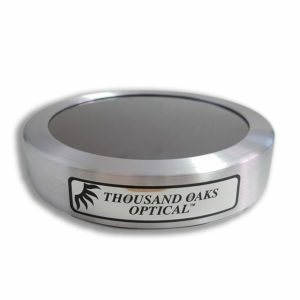 Mylar also reflects your eyes in the mirror like surface making it difficult to see the sun and commonly has pinholes in the coating. The protective properties of our Silver-Black Polymer eclipse film are throughout the substrate so there is never a concern about safety. 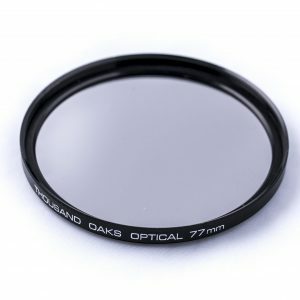 Silver-Black Polymer is a great option for making small filters for finders, binoculars and cameras that are low to moderate magnification. 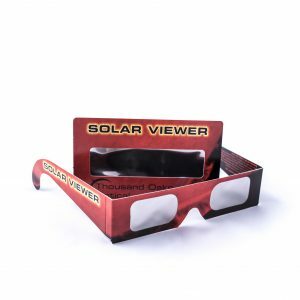 Larger quantities, including bulk rolls 100 to 2,500 feet for making custom eclipse viewers available. Size Choose an option12" x 12"8.5" x 11"